This beautiful single story home with 3-Bedrooms, 2-Bathrooms is located within the desirable Creekside Village Master Planned Community of Ontario, right on the Lake! Great and rare opportunity to own and live in this home with steps leading from your back patio to the water. This is a one of a kind property. Open the front door and see the spacious living room with cozy fire place and vaulted ceilings. From there the room opens into the kitchen, with the breakfast area, lots of cabinetry and sliding gla This beautiful single story home with 3-Bedrooms, 2-Bathrooms is located within the desirable Creekside Village Master Planned Community of Ontario, right on the Lake! Great and rare opportunity to own and live in this home with steps leading from your back patio to the water. This is a one of a kind property. Open the front door and see the spacious living room with cozy fire place and vaulted ceilings. From there the room opens into the kitchen, with the breakfast area, lots of cabinetry and sliding glass patio door leading to the side yard. You will find the master bedroom with sliding doors to patio as well. The attached private bath offers dual sinks. 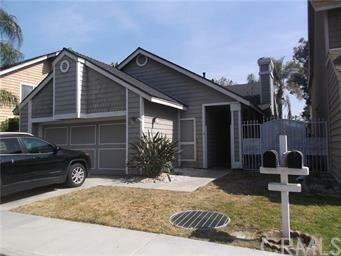 Two additional good size bedrooms and a full bath completes this great home. 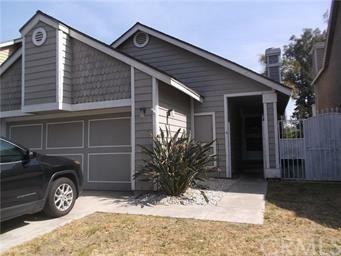 The attached two car garage offers a built in work area and lots of cabinets for storage. The house has a great floor plan and with a little TLC and your personal touch it will be a great home for you and family. Besides the Lake, Creekside Village also offers a pool, spa, playground and so much more. Only minutes from the 60 Freeway and close to shopping and dining. 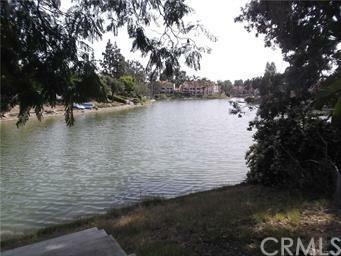 Don't miss this awesome opportunity to own a home right by the Lake! Listing provided courtesy of Hawes Real Estate. Listing information © 2019 San Diego MLS, Inc.